Buying a new home is an exciting and stressful time for everyone. At Kennedy Schofield, we want to make our part in this process as smooth as possible. When we work with clients who are purchasing a home, we take the time to explain the process to them and are always available for any questions they may have. If you are thinking about buying a home, here is the first thing you should think about – a realtor. When you are working with your own realtor, they will help you look through the market and find the right property for you. But that is not all, they will prepare for you what is known as the “Agreement of Purchase and Sale.” This is the initial offer to the seller outlining what you are prepared to offer them for the house including the price, what should be included like the fridge or stove, and what rights you want to have around inspections or other tests before you are fully committed to purchasing the property. These rights are called “conditions.” One such condition is the Lawyer Review clause. Sometimes clients ask whether their lawyer should review this Agreement before it is presented. Generally, the answer is no providing the lawyer review clause has not been removed from the agreement. This clause allows us, as your lawyer, to review what the realtor prepared and any counter offers or amendments that are made to see if things are worded correctly to protect your interests. If we find anything that needs fixing, this clause allows us to raise an objection and hopefully have that issue fixed. If the seller is unwilling to fix the issue, this clause also allows you to terminate in that instance and is therefore a very important clause for the contract. If this clause is there, your lawyer can review once you have the accepted offer from the seller and therefore your lawyer does not need to review the agreement before you present it. Your realtor will also help you work through each of the other conditions you have including ensuring your deposit is made, you’ve had the inspection completed and if anything is unsatisfactory, your realtor will help you negotiate around the issue, or terminate the deal. Your realtor helps see you through to the end of the transaction and can be a valuable part of the transaction. We always recommend to our clients that they have a realtor, but if you choose not to, and the seller does not have a realtor either, we can prepare an Agreement of Purchase and Sale for you. When we do this, there is a fee for the time we spend writing this offer whereas if you work with a realtor, this is part of the commission that they are generally paid by the seller. This means that no matter how many documents they prepare for you, you normally would not pay anything when working with your own realtor. When we draft the agreement, we will still include the clauses you need to ensure you can inspect the property, test the water in the well, etc., but if you need to make multiple offers, this can be a bit more expensive for you. Additionally, when you are looking at a private sale, it is helpful to speak with your mortgage representative before putting an offer in to see if this might make it more difficult for you to get your mortgage. If you are thinking about working without your own realtor, remember that if the seller has a realtor, the seller’s realtor does not work for you though they will certainly assist. This is a common confusion because this realtor will show you the home, write the agreement and present it to the seller as well as assist you with your conditions. 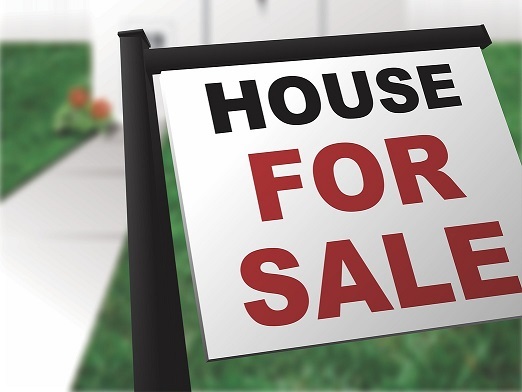 However, the seller’s realtor is ultimately working in the best interest of the seller and it can therefore be helpful to have your own representation to negotiate for you instead. Additionally, a seller’s realtor may not give the seller a break when they are the only realtor on the deal because they will be doing extra work by assisting you to write the agreement and fulfill the conditions. Many clients think they will get a lower purchase price by not having their own realtor because the seller won’t have to pay as much in realtor commission but given the amount of extra work their realtor will be doing, this is often not the case. Whether you work with a realtor or not, we at Kennedy Schofield will work with you to achieve the best outcome possible and are available to you every step of the way. All of our lawyers practice real estate law and have a combined experience of over 40 years. We also offer mobile services for real estate matters and can meet with you anywhere in HRM. If you have any questions or concerns, please feel free to give us a call at (902) 826-9140.